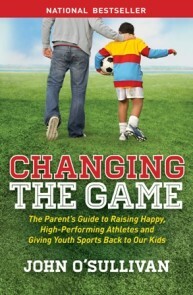 We hope you can turn out on Tuesday April 12th at 7:30 to hear John O’Sullivan, TedX speaker and author of a best-selling book on kids sports, talk about how we can make sure fun stays in the game, and kids stay in sports. ETHS Athletic Director Chris Livatino will be on hand to introduce John. The event will be held in the upstairs theatre (not the main auditorium), follow the signs.